“Vivian (Ruby)” a cushion shape Ruby set in a beautiful antique style halo. The halo of 18 round brilliant cut pavé set diamonds and pavé set shank give the ring a spectacular sparkle, scintillation and fire. 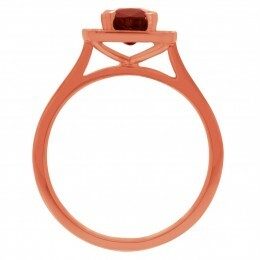 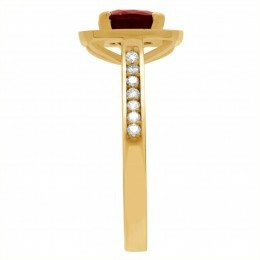 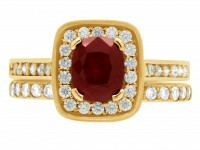 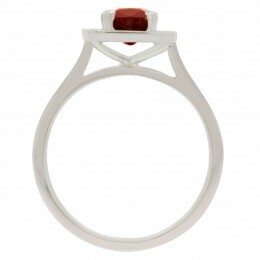 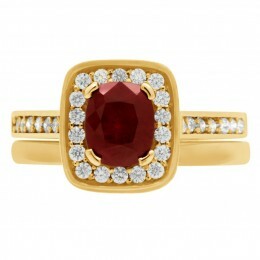 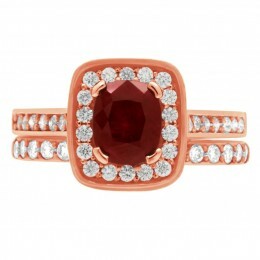 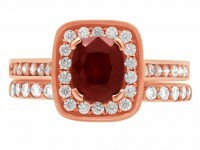 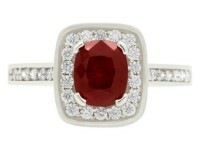 The ring pictured has a 1.20 cushion shape Ruby in the centre. 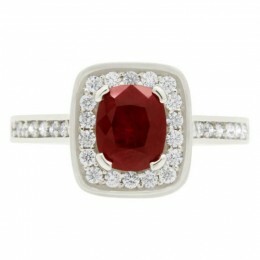 The combined carat weight is 1.40ct.